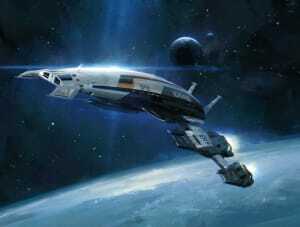 These days science and scifi are as popular as during the first moon landing. We are fascinated by things such as the exploration of Mars, the discovery of the Higgs boson and the rise of commercial aerospace. Science inspires us to explore new horizons both in real-life as well as in fiction and culture. In our minds, going from Neutrinos – particles that can possibly go faster than the speed of light – to people travelling at the speed of light is a step easily taken. 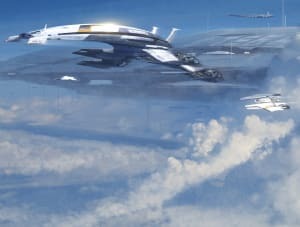 Being able to travel at light speed and using that to explore the galaxy also lies at the heart of the science fiction universe of Mass Effect. 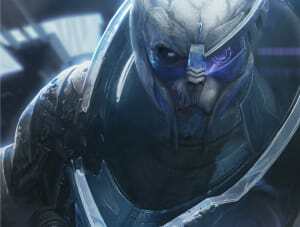 The Mass Effect video games form a dramatic space opera that successfully blends soft and hard scifi. This makes them feel more modern than the space fantasy of Star Wars. 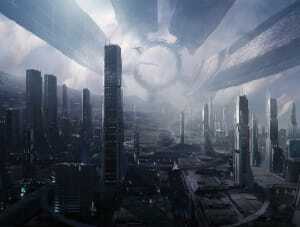 The universe of Mass Effect for example is drawn austere and functional with a realistic feel. For the design of various locales inspiration has been drawn from modern architecture such as the work of Spanish architect Santiago Calatrava. 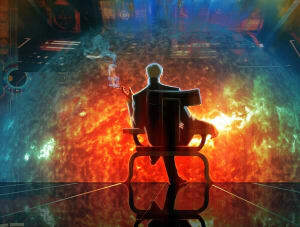 The influence of the famous sciencefiction designer Syd Mead can also be felt. 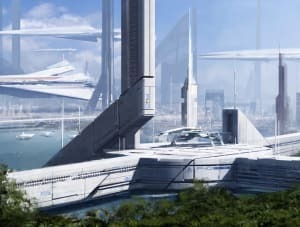 The big difference with the sometimes cold or unpersonal worlds of Syd Mead however and one of the reasons that Mass Effect is destined to become a new classic in the genre, is that the world of Mass Effect feels warm and alive. 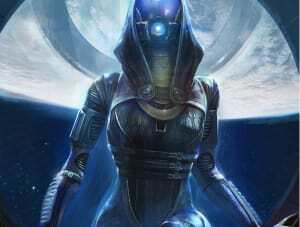 The world brims with charismatic humans, aliens and species. Their stories and tragedies help form a consistently detailed universe. 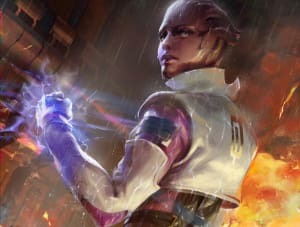 The overarching story of the galaxy being threatened by a destructive AI serves as an umbrella to connect hundreds of smaller stories and persona. 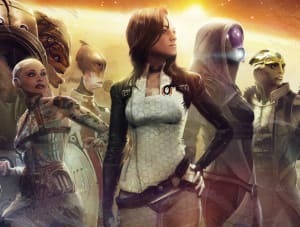 Players are invited to form an even stronger emotional connection with the fiction because of the pioneering work Mass Effect does in the area of interactive storytelling. 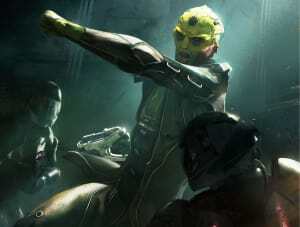 The player’s choices shape the story to a large extent. 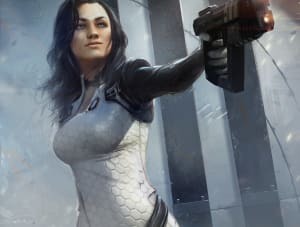 Mass Effect is a great example of what can make science fiction so fascinating, when creators use our obsession with the future and science to tell great stories.